Learn helpful strategies for saving energy and money at home, in the office, or even on the road by watching these Green Tips videos. 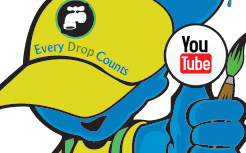 D-rop reminds you: Every Drop Counts! How much carbon emissions are you producing in your home, on the road and when you travel? Find out by using the Carbon Footprint Calculator, and measure your sustainability skills against friends and family. 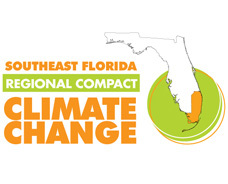 Miami-Dade County invites you to become stewards of the environment. Nestled between the Everglades and the sea, Miami-Dade County is blessed with a wealth of unique natural resources. Beautiful sandy beaches line the coast while Biscayne Bay is a playground for tourists and outdoor enthusiasts. To the west, Everglades National Park supports a wide variety of plant and animal life. These natural resources, coupled with our tropical climate, make Miami-Dade County a great place to live and visit. Since we live in one of America’s most vulnerable communities, the County’s focus is to achieve aggressive water conservation, energy, climate change, and greenhouse gas reduction goals to sustain ourselves, our community and our natural resources. 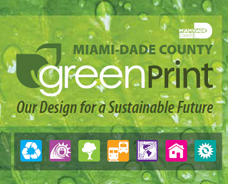 This effort includes the County’s implementation of GreenPrint – Our Design for a Sustainable Future. GreenPrint lays out a vision and action plan for a greener, more sustainable future in which we turn the pressing challenges of our day into opportunities for economic growth and a better quality of life. In most Florida homes, air conditioning accounts for 40% or more of the annual electric bill. Setting the temperature at 78 degrees combines comfort and energy efficiency. The water heater is a large user of energy in most homes, and other wasteful water behaviors also waste energy. Toaster or microwave ovens use less energy and add less heat to the kitchen compared to a conventional oven. Miami-Dade County’s Office of Resilience will offer free training on Autocase – the market leader for triple bottom line cost -benefit analysis (TBL-CBA) for buildings and infrastructure. The training will help County staff understand the financial, social and environmental costs and benefits of building-related sustainability and resiliency projects and policies. Autocase analysis can be used to earn points on LEED projects complying with the County’s Sustainable Buildings Program (Resolution No. R-1200-05 and Implementation Order IO 8-8), and to comply with Administrative Order AO 11-3, which requires life cycle cost analysis for all new construction or renovation/refurbishment projects, and the acquisition of air conditioning, driers, hot water heaters, light bulbs, vehicles and refrigeration. Feb. 13 from 1 p.m. to 4 p.m. at the Stephen P. Clark Center 111 NW 1st St., Miami, FL, 18th floor, conference room 18-3. Reservations are first-come, first-served. RSVP by Friday, Feb. 1 to [email protected] with the date(s) you wish to participate.